The Cedar Room was named to honour the Coastal First Nations and the tree that was a staple of their heritage. Every part of the cedar tree was used … logs for creating longhouses, canoes and paddles, branches for fishing gear and crafts, planks for doorways, scraps to fuel the smokehouse, bark to make bentwood boxes for food storage. 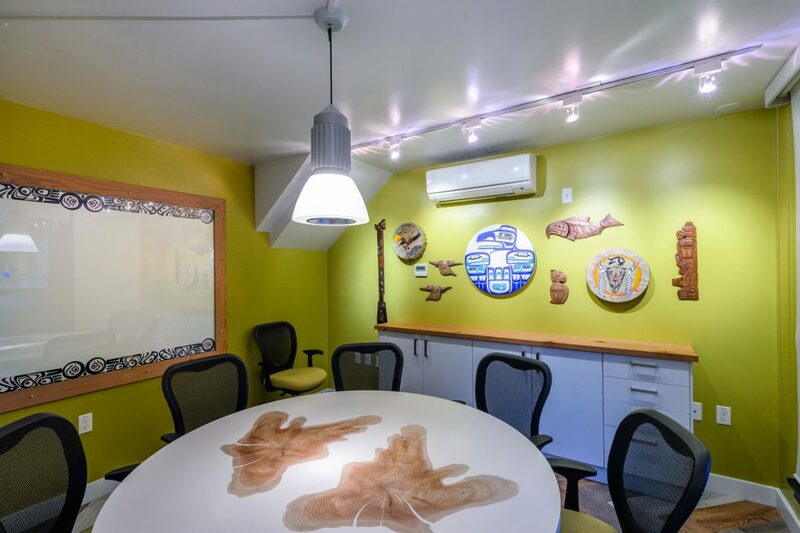 This art-filled room seats 8 people around a hand-crafted boardroom table with comfortable ergonomic chairs, state-of-the-art audio-visual and teleconferencing capabilities including a 50? flat screen television, whiteboard and wi-fi. 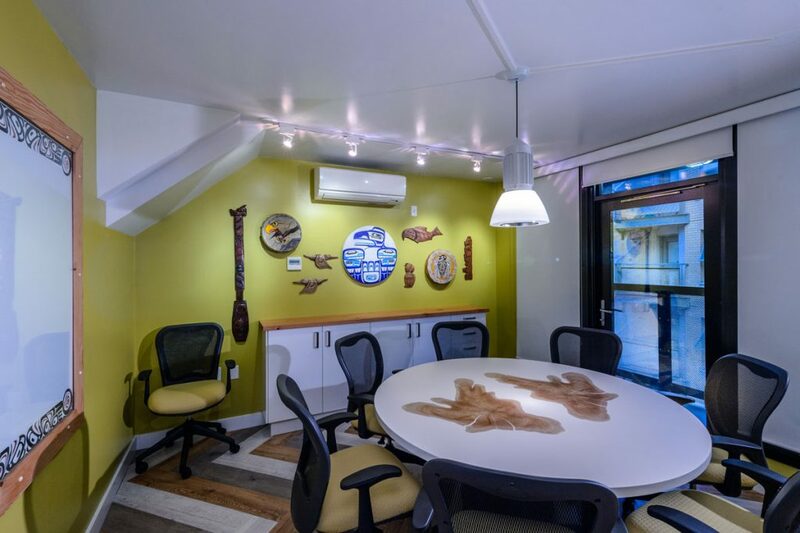 Located in the Hotel lobby, the Skwachays Lodge Aboriginal Gallery is the perfect venue for private functions, special events and film shoots. Please contact us for details. Available by special request at specific times and dates. Please contact the facilities manager for more information.